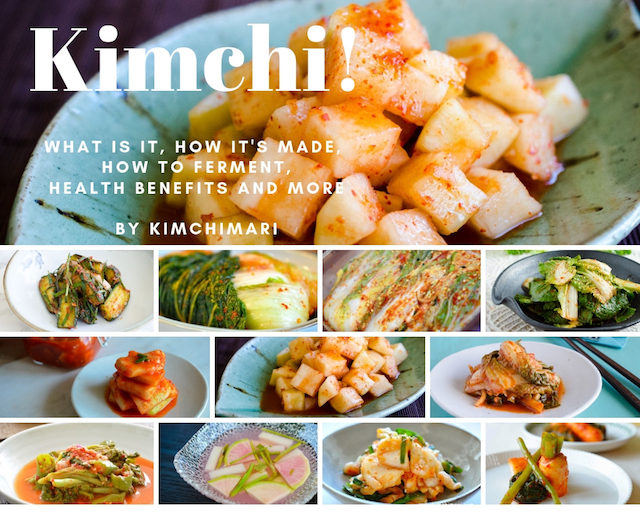 You are here: Home / Kimchi / What is Kimchi, How to make it and Is it good for you? What is Kimchi, How to make it and Is it good for you? 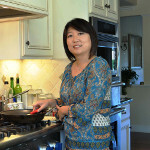 Kimchi is such an important part of Korean cuisine that I’ve always wanted to share more about it – beyond just recipes. 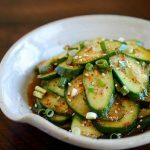 I share all there is to learn about this wonderful Korean pickle dish including a general overview of how it’s made, its health benefits, how to ferment and store them properly. 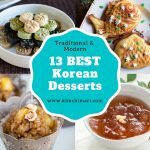 I have always wanted to write more about Kimchi because I could never share enough in my individual recipe posts. It is such a uniquely Korean dish and history records as early as 1100’s about how Koreans liked to pickled their vegetables in salt. Then around 1590’s, the chili pepper was brought into Korea through Japan and that’s when it was first made with red chili pepper powder. Korean Kimchi differs quite a bit based on region – it gets saltier and spicier as you go further south and less so as you go up further north. There are over 100 different variations or kinds of Kimchi throughout Korea. Kimchi or Kimchee is a Korean fermented vegetable pickle dish that is probably one of the best known Korean food throughout the world. 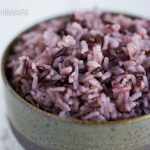 If you have ever visited a Korean restaurant, you probably saw some version of this side dish on your table – usually cabbage or radish covered in red seasoning with a bit of a pungent smell. Kimchi tastes like actually nothing that I can think of. But it somewhat has the basic flavors similar to sauerkraut but is spicy, tangy, garlicky and additionally has wonderfully deep and complex flavors and a tummy clearing unique taste that simply is impossible to be put all in words. 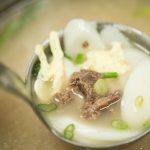 The wonderfully unique flavors are achieved through fermentation which also results in a food that is full of probiotics and is good especially for gut health. A proper Korean meal simply cannot be eaten without Kimchi. Although the flavor may be strong, I feel it has the ability to ‘cleanse’ your palate in between bites, getting your mouth ready for the next bite. 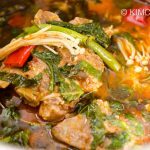 It is especially great for fatty BBQs where the sour and salty taste of this wonderful fermented dish works really well to get rid of any greasy feeling on your palate. Most of Korea freezes in the winter and fresh vegetables were hard to come by in the old days before greenhouses. Kimchi was an excellent source of vitamins C, B6 and K and has large amounts of excellent probiotics that are great for your digestive health. This vegetable dish is also an excellent source of vitamins K, C, and B6. And because the vegetables are fermented, they have excellent probiotic qualities. 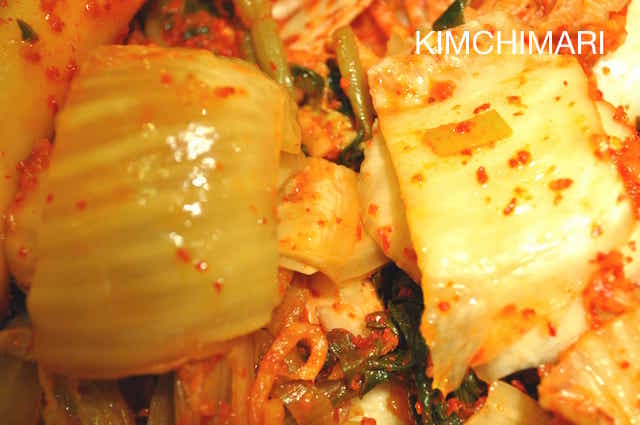 Kimchi may help with conditions like inflammation, digestive issues, and overall gut health. It is also high in fiber, calcium, iron, and potassium. Back in 2003, SARS (Severe Acute Respiratory Syndrome) was a pandemic in many parts of the world including Hong Kong and mainland China, except for Korea where very few people were infected with the virus. Regarding this, some Koreans argued (mostly jokingly) that kimchi must have had an antiviral effect since the main difference between Koreans and other Asians is probably that Koreans eat Kimchi almost every day. However, a recent study result shared by “Effects of heat-killed Lactobacillus plantarum against influenza viruses in mice” and published in the February 2018 issue of the Journal of Microbiology does show some evidence of increasing survival rate of mice who were regularly fed the Lactobacillus probiotics (extracted from Kimchi). In addition to these studies, there have been many other studies that show it has beneficial bacteria for your gut and also helps to prevent or fight cold viruses. There IS a downside to this wonderful pickled vegetable – the salt content can be quite high. So if you need to watch your sodium level, you should check before you eat it. But if you are going to make it at home, you can easily reduce the amount of salt during the pickling process by allowing the vegetable to soak in water longer. You can also reduce the amount of salt in the seasoning. In the old days without refrigeration, vegetables needed a certain level of salt for it to be preserved without going bad but with refrigeration, that’s no longer a big concern. Therefore, you can easily reduce the amount of salt when making kimchi. How long does it take to make Kimchi? Normally, making Kimchi can take anywhere from about 1 hr to 2 days. Quickest, unfermented, fresh kimchi called Geotjeori (겉절이) can be ready in just 15 min while a full Kimjang will take up to 2 days and will need to ferment for weeks. But for the simpler version with cut cabbage, it can be made in total 3 1/2 hrs. If it’s your first time making kimchi, you can start with either my Kkakdugi (cubed radish) or Mak Kimchi (cut cabbage) recipe which should be quite doable. I have a whole list of Kimchi recipes on my blog and I have a round-up recipe post here. But to answer a very general question of “How do you make Kimchi?”, I think it will be helpful to first get an idea of the usual ingredients used. Korean red chili powder (고추가루 Gochuaru): there are some non-spicy ones like mul kimchi and baek kimchi (white) that don’t have any chili powder in them but otherwise there is usually a good amount of red chili powder. 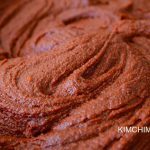 The red chili powder is known to help delay the initial fermentation speed in Kimchi and also promoting higher amounts of probiotics. Although there is no scientific study that shows the difference between Korean red chili powder and other kinds of red chili powder, many Koreans (including me) will swear that it just does not taste the same when non-Korean red chili powder is used. Sweet fruit/sugar/maesil (green plum) syrup – pear, persimmon or apples are added for winter Kimchi (Kimjang) otherwise a bit of sugar/green plum syrup. The sweet sugar in these ingredients serves as food for the fabulous probiotic (friendly bacteria) to grow! Salt: good quality, bittern removed sea salt is a must ingredient. Salt will preserve the vegetables, keep any unwanted molds from growing and also keep the texture of the vegetables crunchy and not mushy. Korean sea salt is usually aged for 3 years or more to make Cheonilyeom 3년 묶은 천일염 where the bitterns have been slowly drained away during the aging process. If you use regular salt without the bittern removed, your Kimchi can come out bitter and not very tasty. Read more here. Fish Sauce: The most common fish sauces used for kimchi are little anchovies and tiny shrimps that are fermented in salt, resulting in fermented anchovy sauce (멸치액젓 Myeolchi Aekjeot) or fermented shrimps (새우젓 Saewoojeot). 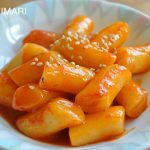 Starch: sweet rice/rice/potato/flour starch paste is often (not always) added to kimchi to take away any “green” taste of the vegetables like Seoul cabbage or baby radish. The starch serves as food for the many beneficial lactic acid bacteria to grow which in turn helps to ripen it. Northern Korea style recipes usually don’t use this paste except for the ‘green’ kimchis whereas more Southern style uses the paste in almost every Kimchi except for water kimchi. So a starch paste is NOT a MUST ingredient in Kimchi making. Seafood: Optionally, Koreans add fresh ground shrimp, fish, and oysters. If it’s done right, it adds an extra level of zing when fully ripened. Read more about individual ingredients in this post Korean Kimjang Ingredients or in Korean Seasoning Guide. Make brine (Korean sea salt with bittern removed + water) and pickle your vegetable. Vegetable needs to be soaked in brine for several hours (unless it’s fresh – Geotjeori 겉절이) so some of the moisture is drained out from the vegetable, making it more crunchy. Salting will also help kill some bad bacteria from the vegetables. While vegetable is being pickled in brine, make seasoning – usually a mix of aromatics (garlic, ginger, green onions), red chili powder, fish sauce and maybe some rice paste. Take out vegetable from brine, discard brine, rinse vegetable in fresh water and drain. Mix salted vegetable with seasoning. Let it sit at room temperature for 1-2 days and let it ripen further in the refrigerator. See my No Crazy Kimchi post to learn exactly how to ripen Kimchi properly. 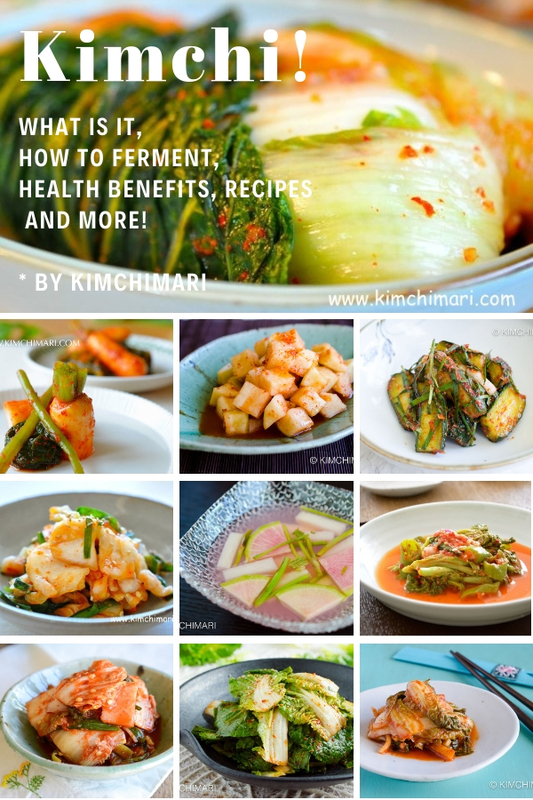 This question is best answered by my post How to Ripen or Ferment Kimchi. I have a flow chart that helps you ripen your store-bought one as well as homemade. Quickly, you need to taste the kimchi and if it needs further ripening, leave it at room temp for 1/2 day to 2 days and then let it slowly ferment in the fridge. But it all depends on what state you are starting in so please check my flow chart. How long can Kimchi be left at room temperature? Kimchi tastes best when it is just perfectly ripe. If it’s homemade and just freshly made, it is best to let it ferment at room temperature first for 1-3 days and then put in the fridge. Anything longer than 3 days will be too long. If it’s store bought, it is probably already a bit fermented so it may not even need to be at room temperature at all or maybe about 1 day or less. It is best to taste it, smell it and follow my No Crazy Kimchi post on how to enjoy delicious Kimchi at its peak flavor. I even have a flowchart that helps you to ripen it properly and enjoy it at its best. How long before Kimchi goes bad? How long can you store Kimchi? While there are claims that Kimchi can be stored forever or for years and years, my opinion is that it’s really not that good after few weeks to few months unless they have been specially made to last for a long time. There are specific Kimchi recipes that are made to make them into Mukeunji 묵은지 which means they are aged at least for 6 months or more. The seasoning is usually milder and is kept at very low temperature. Regular store-bought or homemade ones should last a couple months no problem although they may have passed their peak flavor stage after a month or so. When stored at the ideal temperature that’s close to the freezing point of 32 F (-1 to 0℃), kimchi will keep for 3 months or more. Assuming you are starting with fresh unfermented batch. Here a picture comparison of perfect stage of kimchi (on the right) and one on the LEFT that is over-ripe, has turned a bit sour and have started to turn translucent but still totally good for Jjigae. Where do you buy Kimchi? You can always buy Kimchi at Korean grocery stores if you have one nearby. 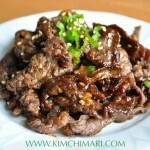 If you are living in US and live on the east coast, you can probably use Hmart online and order for delivery. Many stores like whole foods and other grocery stores now carry them. Unfortunately, the ones sold in American grocery stores are usually really not good. It’s usually quite bland and not flavorful. I recently found that our Costco (in CA) started selling imported ones from Korea with the brand – Jonggajip 종가집. This is actually a good brand. So look for it or ask for it if you go. 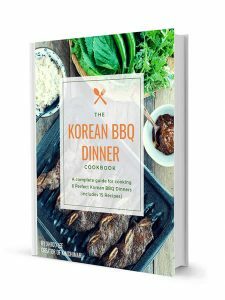 How to buy good Kimchi? The main thing you have to worry about buying Kimchi is that it hasn’t been on the store shelf too long. Kimchi keeps fermenting even when it is refrigerated so take a close look at the cabbage and if you can, open the bottle and smell it. The smell should not smell too sour. The cabbages should not look translucent (like the picture above) which means it’s over-ripened and it’s starting to turn mushy. Good for jjigae(stew) or fried rice but not really good for eating just fresh. 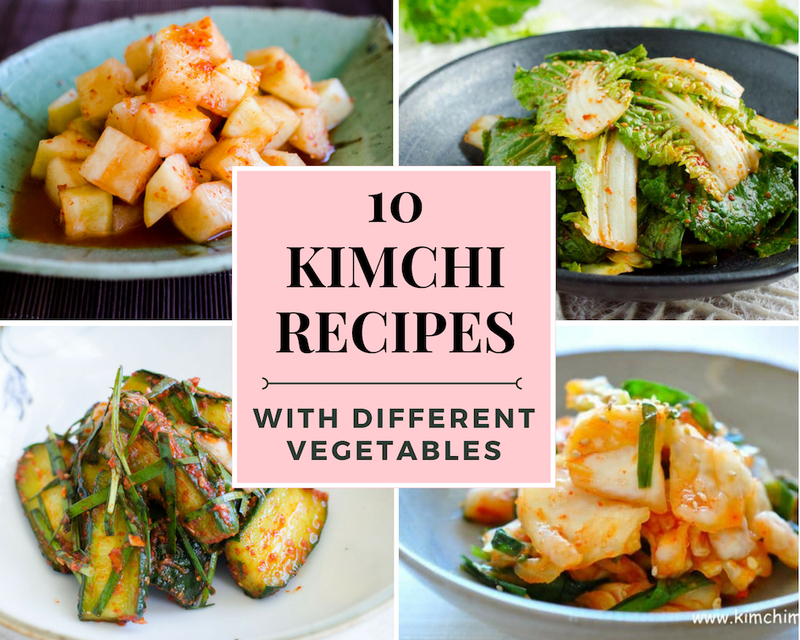 I will be writing a post with a list of my 10 Kimchi recipes (includes vegan and quick recipe) including a description of each recipe. I will be posting it very soon! Kimchi is best eaten COLD but can be eaten at room temperature. It can be cooked in various ways. 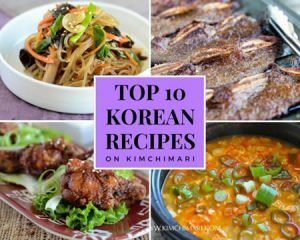 Here is my 10 Delicious Ways to Eat Kimchi which is a round-up of my favorite 10 recipes that uses kimchi. Well, I hope this post was helpful. PLEASE ask any questions if you have any that are missing and I will come back and answer! Thank you so much for your detailed post on Kimchi. As a beginner, I found it very helpful and helped remove some of the fear and hesitation of making my own. Love all your recipes and the care with which you explain them. Hi David, Thank you so much for taking the time to leave me such great comment. 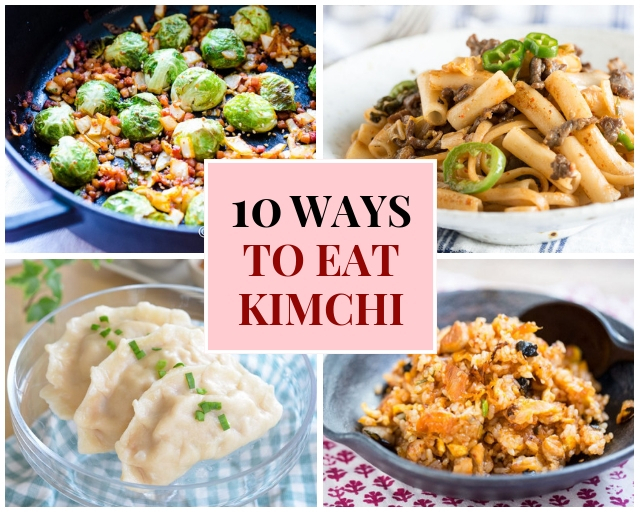 I am sooo happy to hear that my post was helpful in getting you closer to making your own kimchi – I really do hope you will try making one on your own. Start with Green Cabbage Kimchi – that’s a great one for beginners. Enjoy!